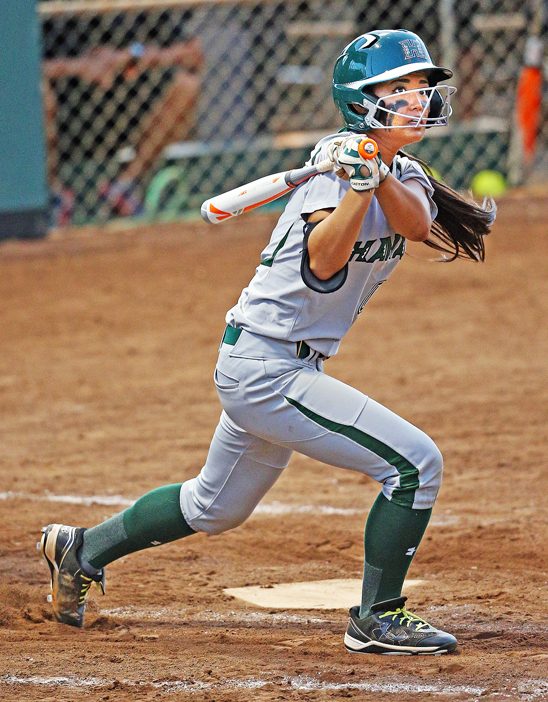 A local Japan-U.S. showcase highlights softball’s new lease on Olympic life. Softball is a game of misnomers. First of all, there’s nothing soft about it – not the ball itself, nor the way it’s played. Forget those notions of beer-quaffing weekend warriors belly-flopping around the diamond at your local park on any given Sunday. Softball is one sport that really separates the gentlemen – pretty much all of them – from the ladies. Slightly denser than a baseball, a softball is considerably larger, at nine or so inches in diameter. And it’s only slightly softer than your garden-variety rock. There’s also nothing soft about trying to hit the ball, especially the fabled pitch known as the “rise ball.” Just ask Mike Piazza and Albert Pujols. During a 2004 charity All-Star softball game, both major league sluggers failed to make contact with any of the pitches thrown by Jennie Finch, who later that year went on to win gold with the U.S. Olympic team in Athens. A prime showcase of some of the world’s top talent is taking place this week in Southern California, as a “company team” from Japan will play several friendly matchups with some of their American counterparts. Games are scheduled for today and Friday at Santa Ana College, with both contests beginning at 5:30. On Saturday and Sunday, the teams play at Fullerton College, starting at 5:30 and 3 p.m., respectively. The U.S. select teams will be composed of mainly college players, along with some of the area’s top high-schoolers. 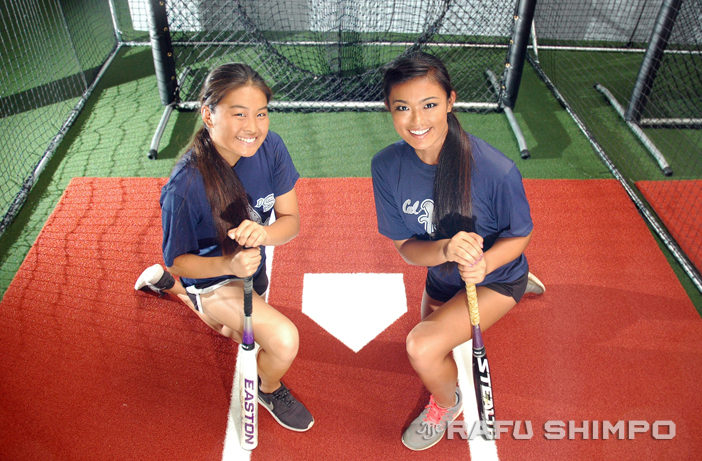 Among those taking part on the U.S. side will be University of Hawaii pitcher and outfielder Jennifer Iseri, and Cerritos High’s Jennifer Morinishi. Both have years of experience with the Cal A’s, the softball development organization that is hosting this week’s exhibition. Japanese women, naturally of smaller build, have essentially tailored their game to their average stature, rather than seek out the biggest, strongest players to stack their rosters. The Japanese have adopted a style of play that relies on discipline at the plate, slap hitting, and speed on the basepaths. The concept of creating scoring opportunities – not scoring in bunches with one swing – is their mantra. “They’re very simple about the game,” Iseri explained. “We try to hit home runs, but they focus on how to manufacture runs. I’ve learned a lot from their approach; they use more of a team concept, that’s an asset they bring to the game, to be successful without always having to hit the ball over the fence. “They’re not very big and strong, but they still win games,” she said. 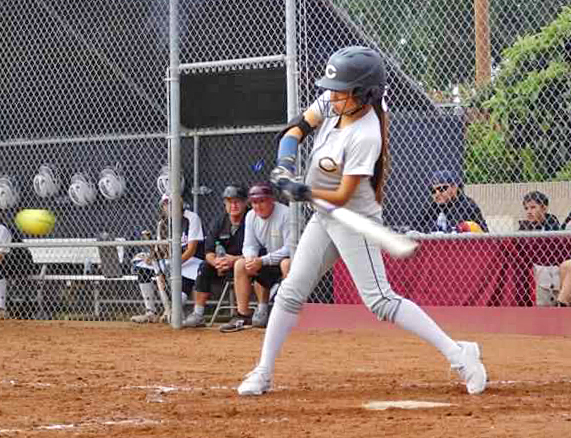 “I think it’s good that softball has moved away from the baseball concepts,” added Morinishi, who will be a junior at Cerritos this fall and has already verbally committed to Biola University. Iseri’s father, Brian, has coached in the Cal A’s organization for years, and he has seen how the Japanese style has transformed softball. Denso team captain Ayaka Takebayashi said there is much to be learned from the American approach to softball. 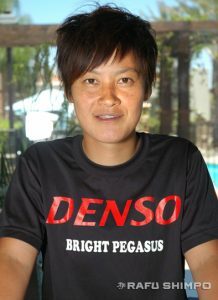 Ayaka Takebayashi is the captain of Denso Bright Pegasus, the team that has traveled to California for this week’s series. The players work part time for global automotive components manufacturer Denso, in exchange for the company’s sponsorship of the team. This system is a long-established framework for professional sports in Japan. The Denso players, along with practically every player on a diamond on both sides of the Pacific, are thrilled with the prospect of baseball and softball returning to the Olympic schedule. After being dropped after the 2008 games, the International Olympic Committee will vote next month on a recommendation to bring both sports back for 2020, just in time for the Tokyo Games. Takebayashi, a veteran catcher from the historic city of Himeji, said she couldn’t be happier over the prospects of softball returning to the Olympic stage, particularly if it’s included in Tokyo. At 28, Takebayashi doubts she will have the opportunity to represent Japan in Olympic competition, but she is fully aware of what it means to her team and her country. Sunday’s game will be played by a Cal A’s international team – including Iseri – that will represent the United States in an upcoming tournament in Canada. Morinishi will be a junior at Cerritos High this fall and intends to study and play at Biola University.